Casual kickabouts with friends (and non-friends) can involve almost any number of soccer players because they’re mostly played for fun. You need to follow the Laws of the Game. Teams must have the correct number of players on the pitch. 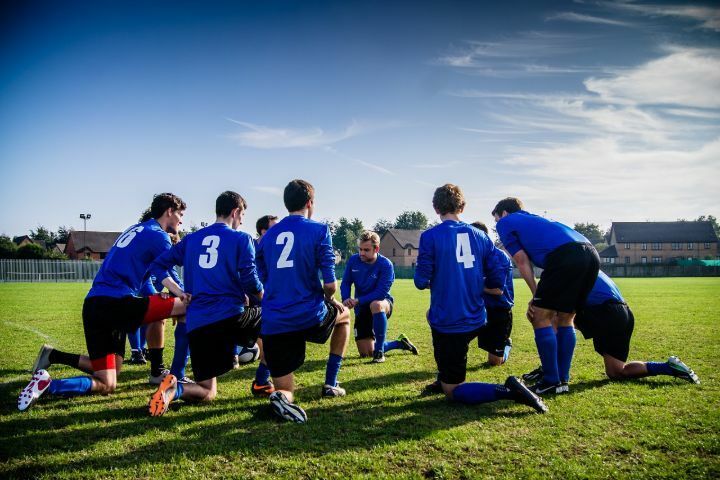 Different age groups and leagues can have their own rules about how many players are allowed on a soccer team, but adult soccer always has the same number of players. While players getting sent off and injuries may impact the number of players on the pitch, teams must continue to follow the rules or they risk facing a warning or suspension. 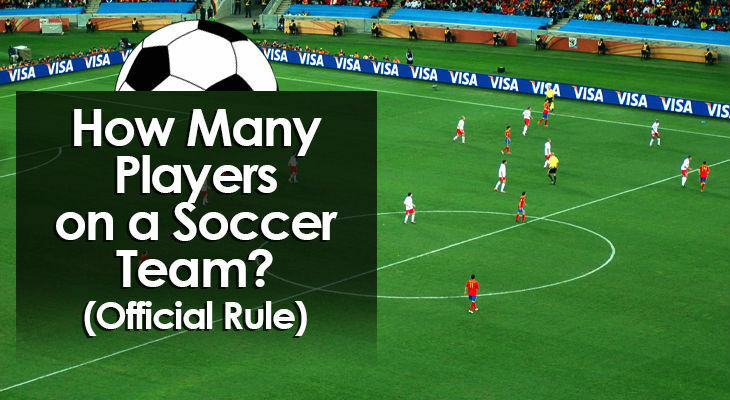 Law 3 of the “FIFA Laws of the Game” deals with how many players are on a soccer team, so let's take a look at the official rule and find the answer. How Many Players are Allowed on a Soccer Team? ​As stated by Law 3, a soccer match is always played by two teams and each team can have up to 11 players on the pitch at any one time. While teams normally play eleven-a-side, on occasion a team may have injury problems or some of the players may not arrive on time. Play is not allowed to begin or continue if a team has fewer than 7 players, as this is deemed the absolute minimum to carry out a game. In some leagues, only players and substitutes that are named before the kick-off are allowed to play any part in the match. But some leagues are stricter on these rules than others, so it’s always worth checking with your local league to see exactly what the official competition rules for your team are. So while teams may start off with 11 players, they may end up with fewer players on the pitch if any of their team receives a red card and are expulsed from the game. A team may also end up with fewer players on the pitch if they’ve made all of their substitutions and one of their players cannot go on due to injury. In both of these scenarios, the soccer team may continue playing as long as they have at least 7 players out on the pitch. ​In professional adult leagues, teams may use up to 3 substitutes per match. On the bench, professional teams may have between 3 and 12 players from whom they can select their substitutes from. In some leagues, competitions, or friendly matches, more substitutions may be allowed depending on the rules that are in play. But again, only a maximum of 11 players are allowed on the field at any one time. In most cases players that have been substituted are not allowed to return to the field of play although some informal and amateur leagues permit this. When making a substitution a team must signal to the referee that they are replacing a player. 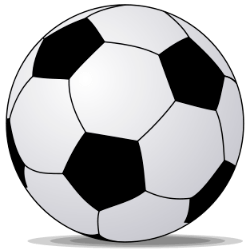 The substitute must then enter from the halfway line when the ball is out of play or the game has stopped. They must wait for the referee's signal otherwise they risk receiving a yellow card if they enter the pitch without permission. While goalkeeper substitutions are rare, it does happen and any player in the squad can take the keeper's place as long as the referee is told and it follows the standard rules for substitutions. ​If either team has more than 11 players on the pitch, the referee must stop play and have the extra player removed. On occasion a supporter, team official, or substitute may stray onto the pitch and the referee must again stop play before dishing out the appropriate punishment. If it’s a player, they receive a yellow card. In the case of a team official, they’re likely sent to the stands. Play then restarts either where the ball exited the field or with a drop kick from where the referee deems play last took place. ​At the end of the day, soccer is a very simple sport. 22 people kick a ball around a pitch until one side comes out on top, managing to score more goals than the other team. Each team may have a maximum of 11 players on the pitch at any one time, and each team needs a minimum of 7 for the game to begin or continue.